Revered in his lifetime for his vivid reimagining of classical aesthetics, Renzo Mongiardino is still influencing designers with his artful sleights of hand. 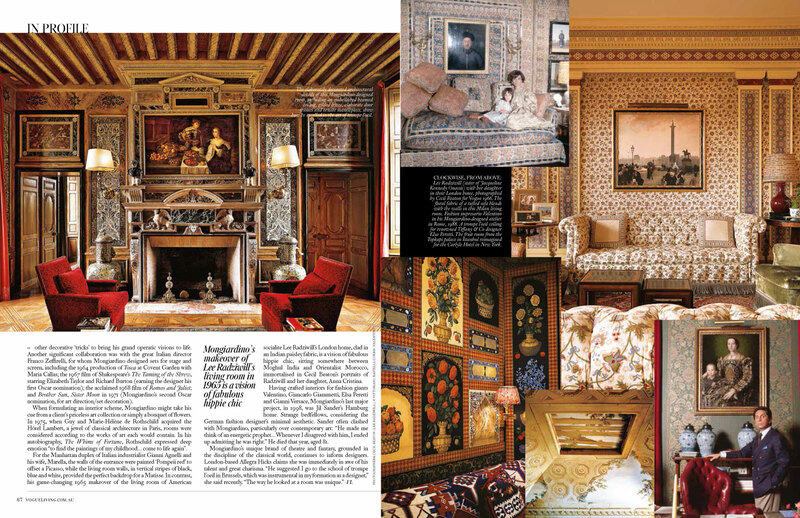 interiors he designed for the world’s cultured elite. Bypassing Modernism, Mongiardino took a detour through the layers of the past — Ancient Greece to Byzantium and the Italian Renaissance, Orientalism through to Imperial Russia and the romantic decadence of the late 19th century — to create luxurious, dream-like interiors. And while his heart lay in cinema and the theatre, he is nevertheless considered one of the world’s greatest interior designers. Born in Genoa in 1916, Mongiardino experienced his ‘architectural awakening’ as a child, when his theatre impresario father, Giuseppe, acquired a magnificent 18th-century Genoese palazzo. Entering his new home for the first time, the boy was mesmerised by the scale and beauty of its empty spaces. He studied architecture at the Politecnico di Milano, where the celebrated Italian architect Giò Ponti was one of his teachers. Upon graduating, however, he realised he preferred interior design to pure architecture. 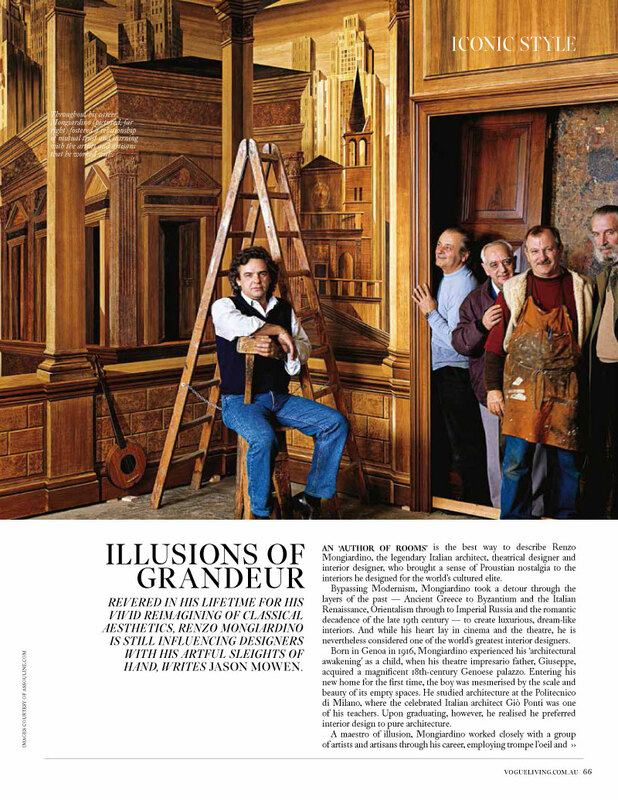 A maestro of illusion, Mongiardino worked closely with a group of artists and artisans through his career, employing trompe l’oeil and other decorative ‘tricks’ to bring his grand operatic visions to life. Another significant collaboration was with the great Italian director Franco Zeffirelli, for whom Mongiardino designed sets for stage and screen, including the 1964 production of Tosca at Covent Garden with Maria Callas; the 1967 film of Shakespeare’s The Taming of the Shrew, starring Elizabeth Taylor and Richard Burton (earning the designer his first Oscar nomination); the acclaimed 1968 film of Romeo and Juliet; and Brother Sun, Sister Moon in 1971 (Mongiardino’s second Oscar nomination, for art direction/set decoration). cue from a client’s priceless art collection or simply a bouquet of flowers. In 1975, when Guy and Marie-Hélène de Rothschild acquired the Hôtel Lambert, a jewel of classical architecture in Paris, rooms were considered according to the works of art each would contain. In his autobiography, The Whims of Fortune, Rothschild expressed deep emotion “to find the paintings of my childhood… come to life again”. For the Manhattan duplex of Italian industrialist Gianni Agnelli and his wife, Marella, the walls of the entrance were painted ‘Pompeii red’ to offset a Picasso, while the living room walls, in vertical stripes of black, blue and white, provided the perfect backdrop for a Matisse. 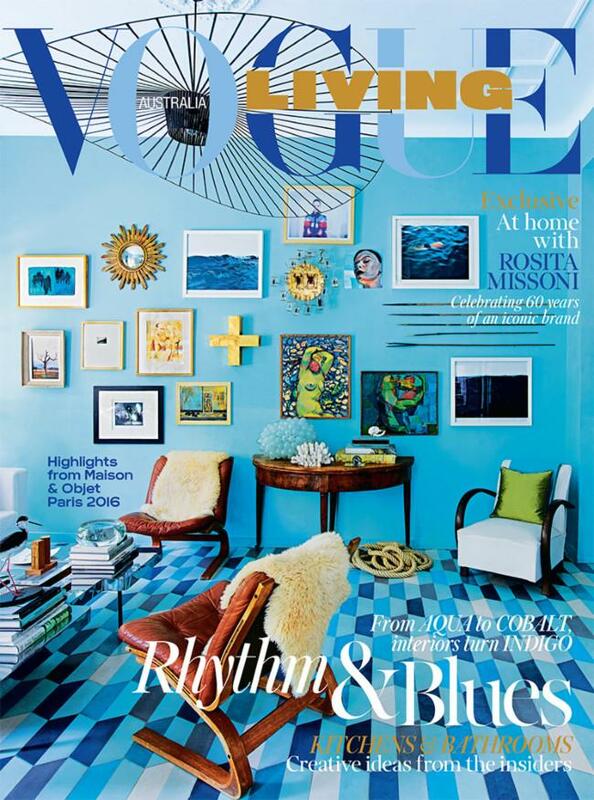 In contrast, his game-changing 1965 makeover of the living room of American socialite Lee Radziwill’s London home, clad in an Indian paisley fabric, is a vision of fabulous hippie chic, sitting somewhere between Moghul India and Orientalist Morocco, immortalised in Cecil Beaton’s portraits of Radziwill and her daughter, Anna Cristina. Having crafted interiors for fashion giants Valentino, Giancarlo Giammetti, Elsa Peretti and Gianni Versace, Mongiardino’s last major project, in 1998, was Jil Sander’s Hamburg home. Strange bedfellows, considering the German fashion designer’s minimal aesthetic. Sander often clashed with Mongiardino, particularly over contemporary art: “He made me think of an energetic prophet… Whenever I disagreed with him, I ended up admitting he was right.” He died that year, aged 81.